Aromatherapy Basics is currently available for all those interested in learning more about using essential oils in their personal and professional lives. This is a basic introduction to aromatherapy and the use of essential oils for therapeutic purposes. It's designed with the absolute beginner in mind. 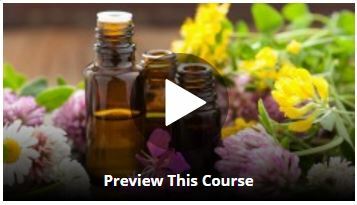 If you've always wondered about aromatherapy, but have never studied it formally (or if it's been a very long time since you have) then this course is for you! Courses are available to take online through an easy to understand and navigate site called Udemy. Online short courses are available to spa students and professionals. 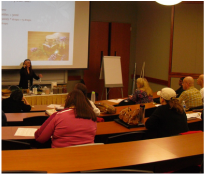 Complete Aromatherapy is a 12-hour course approved by NCBTMB currently open for enrollment, with other topics such as Spa Business Basicsunder development for release in summer 2015. Courses are available to take online through BrainCert, and include certificates of completion for those seeking continuing education credit for license renewal. Learn more about USCB's hospitality programs and the Palmetto College. Please use the Contact page to request more information. Customized training programs, manuals, and supporting resources can also be developed for spas, schools, and other organizations for classroom or online learning. Purposes include treatment protocols, customer service, sales, and management techniques.